London & Partners has a new strategy to ensure London remains a leading world city. We are now focusing our funding and activity in areas where we can have the most impact, and away from activities which are well served by existing providers. We will continue working with our partners and industry bodies to promote London and ensure it remains the best city in the world to visit, study and invest in. Find out more about London & Partners' new strategy. Our travel trade activity this year and next will focus on working with travel agents to attract tourists from the important and growing markets of China and India, through a programme of new "Experience England" itineraries, which combine trips to London with stays in Manchester or Birmingham. This work is part-funded by Visit Britain's Discover England Fund (DEF) and we work in partnership with Marketing Manchester and the West Midlands Growth Company. This campaign is also live in the Gulf Cooperation Council (GCC) until March 2019. 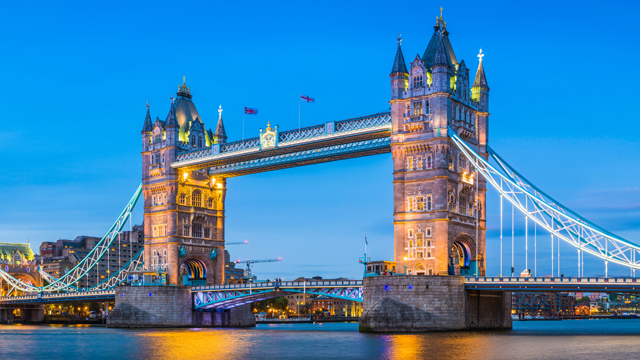 We are also a strategic partner with England’s Historic Cities (EHC) and their DEF campaign, England Originals, which works with OTAs and DMCs to attract younger tourists from the east coast of the US to explore London and England through a number of themed itineraries. We will continue to support FAM trips from our core markets of China, India, the US, France and Germany, and to work with a wide range of partners to showcase the best that London has to offer at trade shows and industry events. Find the biggest events taking place in London, suggestions for first-time visitors and area guides featuring the capital's top attractions on visitlondon.com. The London & Partners media centre is a fantastic resource for information and statistics on tourism in London. Follow visitlondon.com on Twitter, Facebook and Instagram for London inspiration. Download the Visit London app to find out what’s happening in London right now. Use these top travel tips to help your visitors move around London with ease, including maps and guides. Transport for London is working to make public transport accessible to everyone. Find out more about disabled access on London's public transport on TfL's accessibility website. Explore resources on Visit Britain's travel trade site. Become an expert on Britain’s attractions with BritAgent's online training programme. Find domestic tour operators for international companies to partner with at UKinbound. Please note that we do not send out printed maps or guides, and are unable to provide personalised advice.